It literally rained all day yesterday. While never making it out of the 50s. Not because I don’t care but because… in what world does a HUMVEE get swept away in a FLASH FLOOD in COLORADO? I didn’t full understand what happened until they had to go dig the vehicle out of the mud the next day and sent photos. And yeah, we totally had to buy a new phone. 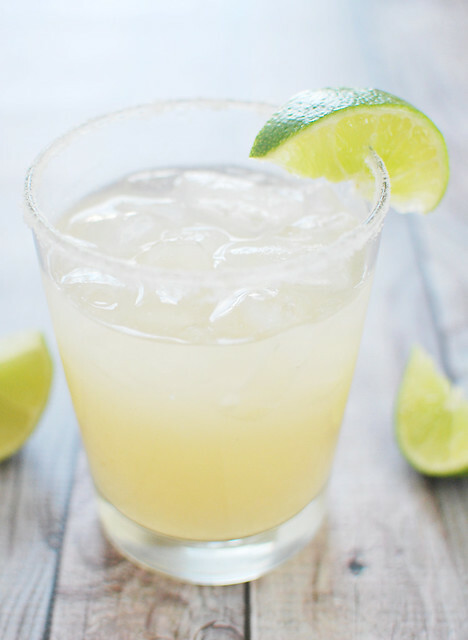 In honor of Colorado’s weather being stupid and ruining the last full week of summer for us, I made margaritas! 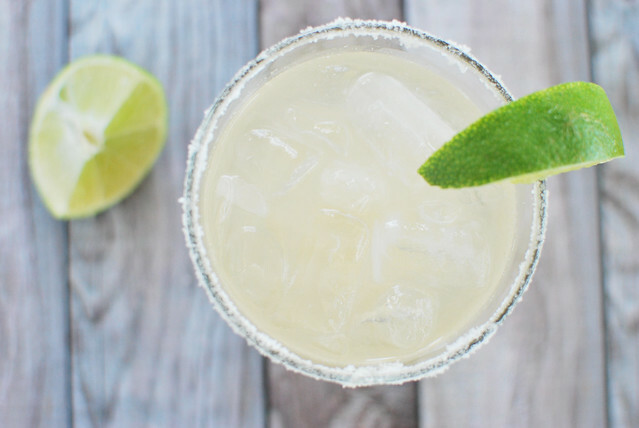 Margaritas make everything better! 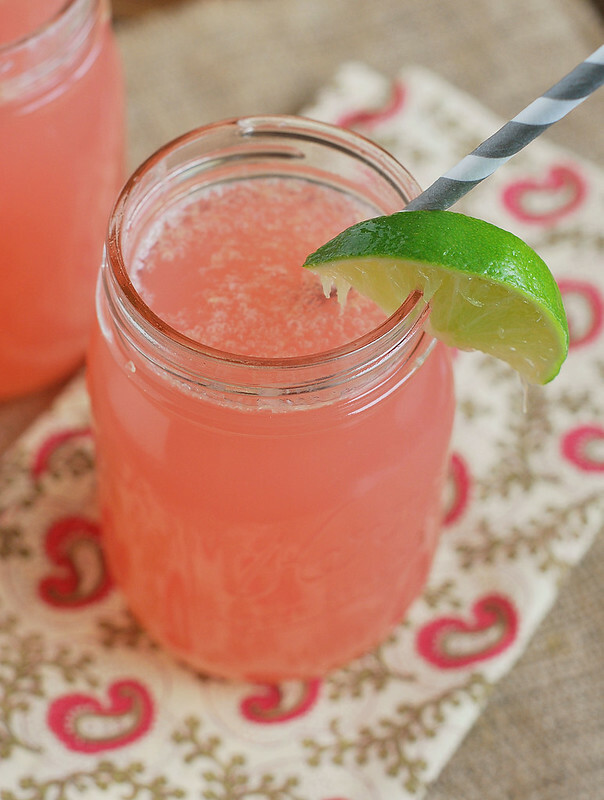 These guava margaritas are super delicious – they just taste like summer! My only complaint is that the guava nectar I used wasn’t bright pink, but hey, it still tastes like guava and that’s the important part! Because I cannot stop thinking about pie. Blueberry, strawberry, peach, cherry, I want ALL THE PIES. It’s weird because I’m usually pretty meh about pie but right now, it’s seriously all I can think about. And the only reason I haven’t made one is because I’m pretty sure that I’d eat the entire thing in one go. So I made pie ice cream! 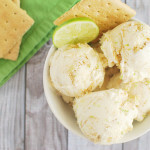 Key Lime Pie Ice Cream! 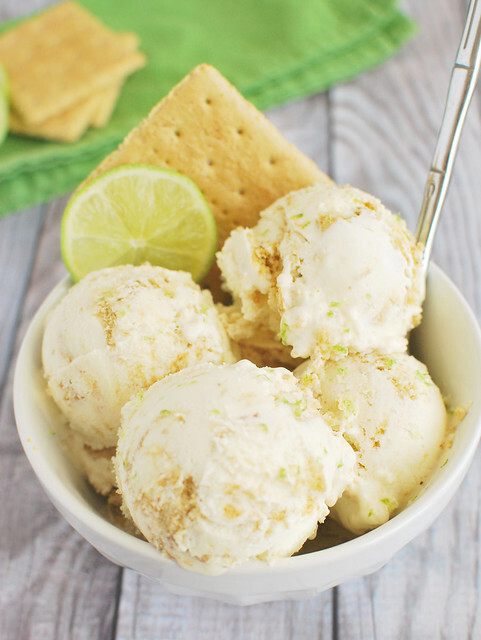 I feel like Key Lime Pie is one of those pies that is always good. I mean, it’s hard to go wrong with a graham cracker crust, tart filling, and whipped cream. Or meringue, if that’s what you’re into. 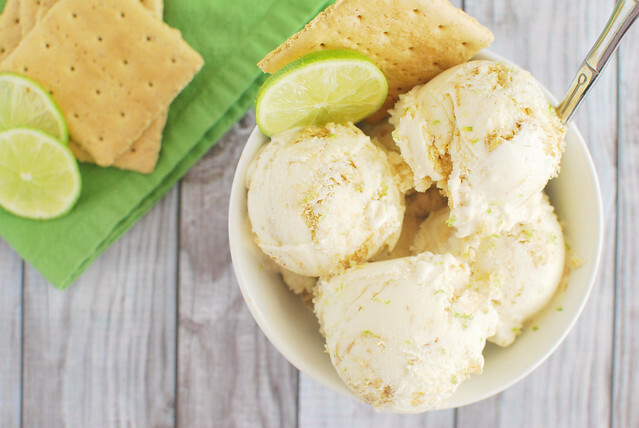 This ice cream has that tart base that we all love and it’s loaded with graham cracker pieces. I think it would be really, really good sandwiched between a couple graham crackers and then left in the freezer for awhile so the crackers soften. Yep, that’s happening in my house today. In a large mixing bowl, whisk together milk, heavy cream, sweetened condensed milk, key lime juice, zest and juice of limes, and salt. Pour mixture into your ice cream maker and freeze according to manufacturer's instructions. Once it has frozen, stir in graham crackers. Transfer to your freezer-safe container and freeze for at least 4 hours before serving.